One of the biggest played titles of recent times would be the Player Unknown‘’s Battleground. Even though this game has conquered the hearts of many, we do have the face the fact that it is rather poorly optimised whether it is being played on a PC or an Xbox One. Although from time to time there was a considerable improvement, it has still not reached our so-called “flawless” level of gameplay settings. Sometimes even game crashes can occur and glitches here and there that spoils the overall beauty of the game. But you don’t have to fret much as there are a lot of in-game settings that you can tweak to get the most out of the game and have an edge during your gameplay. When you put in so much effort during all your matches, you can give a bit of your valuable time for the game’s settings too which can boost your performance to a big extent. To hit the right spot when tweaking the settings takes time and patience. But it is not a very difficult task either. To start off, you can alter the most important basic settings before you go tweaking elsewhere. These are the basic settings that need to be taken care of. First, jump right into these and then only think of anything else. Post processing, shadows and effects aren’t really that important at high settings as they are just there for the namesake. You can save some FPS if you set them all as very low. The view distance can also be set to very low and it does not really matter that much. It only affects the detail that is being rendered at a distance such as the objects of the game. If you are thinking whether other players would be visible at greater distances, well, yes they will regardless of whether you set the View Distance as High or Low. Textures of the game objects are affected by Anti-Aliasing. Hence, if you keep it low, you can save a great deal of FPS but at the same time, the quality will be compromised. When the AA is kept high, the texture of the objects appears smoother. If you are someone who does not mind the jaggedness, then AA can be very well kept off. V-Sync basically reduces the screen tearing because it matches the game’s frame rate according to your monitor’s refresh rate. Keeping it on will make it more appealing. But the problem is, it does reduce your game’s FPS and so you are better off keeping it the other way around. The textures are a very important part of the game’s graphic content. So it is wise to keep it high or at the medium level depending on the GPU of your system. If you want the actions in the gameplay to be in a more cinematic style, the Motion Blur comes to your rescue. Otherwise keeping it off will help save some valuable FPS. You have read above the main tweaks that you can do to improve your FPS. Apart from these, there are still a few other options that you could give a try to see some slight improvement. If you are a person with a Nvidia card you can boost the performance to a certain extent. Head over to your Nvidia control panel and start doing a few tweaks to give a minor boost to your FPS. Though no major improvement can be gained, it is still definitely worth the shot! First, take the Nvidia Control Panel where you have to do all the necessary tweaks. Click on “Manage 3D settings” and then click on “Program Settings” and scroll to find “PUBG” or “TsIGame”. If you are unable to find the options there, then click on “Add” and then you should be able to find it. The “Maximum pre-rendered frames” should be set to 1. 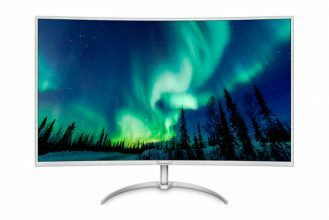 If “Monitor Technology” can be set to “G-Sync”, then do it. Otherwise, no change is required. You can set the “Power Management Mode” to “prefer maximum performance”. The “preferred refresh rate” can be set to “highest available”. Make the “Threaded Optimisation” to “On” option. 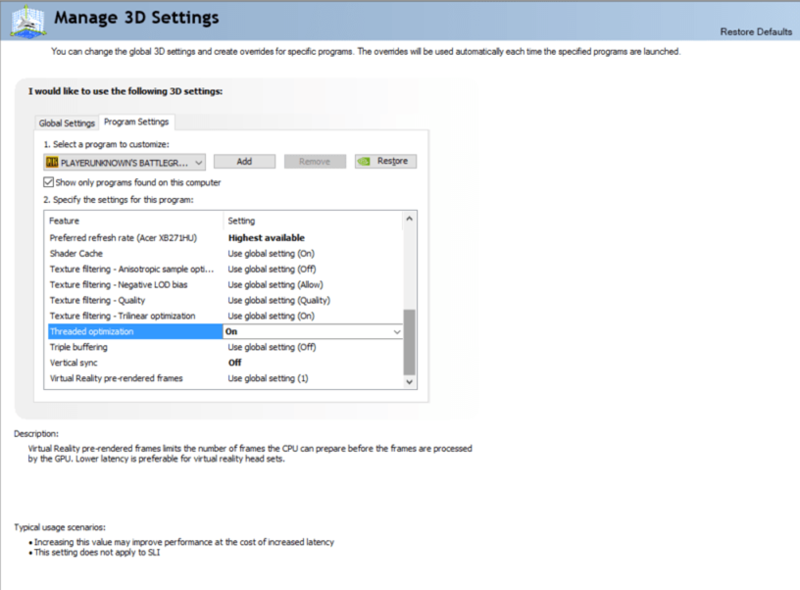 The “Vertical Sync” option can be set to “Use the 3D application setting”. Another set of options in the game is the Gameplay Options. 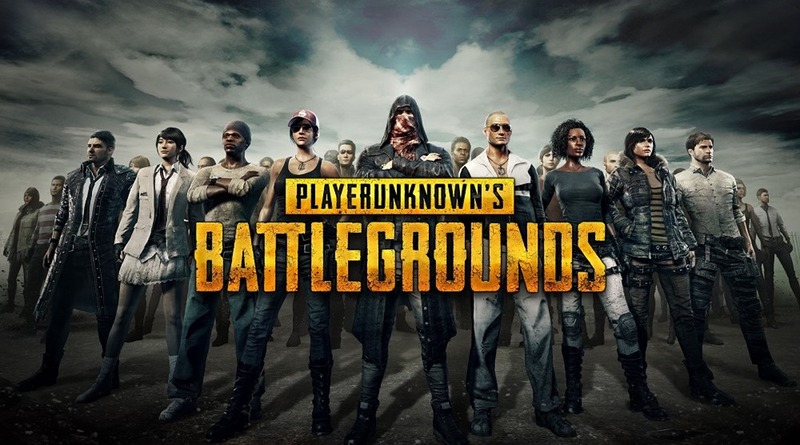 If you turn this OFF, it will stop the PUBG game from loading a 3-D avatar of your game character when you open up your inventory. The loading of the avatar is completely unnecessary and this will hugely boost your inventory loading speeds. The time you save even for minor things like these counts if you are very much indulged in the game. The inventory Character Render should be kept Off. You can set the Peek to either Double Tap or Toggle. When you are holding the Q/E while shooting, movement of your character can often be difficult. Changing the Peek to either Toggle or Double Tap lets you move and aim at your target at the same time improving overall gameplay. Wherever you go nowadays, this game is the most talked about game title. Though it runs on Unreal Engine, the requirements of the game are low and the optimisation is rather poor and needs to be taken care of if you want to enjoy all the elements and aspects. With the right amount of tweaking here and there and a bit of patience, you can hit that sweet spot to bring out the best in the game. Next Avast vs AVG: Which is better? 20$ more for the same thing?